MedStar Health is a non-profit healthcare organization that operates 10 hospitals spread across the Washington, DC and Baltimore area. It operates more than 100 outpatient health facilities, hundreds of thousands of patients annually, with more than 31,000 hospital staff, according to its website. Just this week, malware infected MedStar Health's computer network. In response, the non-profit took down a number of computers in its system to stop the virus from spreading. The malware forced the healthcare provider to shut down a major part of its electronic operations. It remains unclear which hospitals were involved and how many computers were affected. MedStar Health released a statement making it clear that all of its facilities remained open and that no evidence existed indicating patient information was compromised. One person visiting a patient said he noticed that a staff member turned off a computer for more than an hour after knowing about the spread of the malware. This happened in one of the facilities located in Washington DC. In effect, all of the patient’s orders were lost. The visitor added that following the computer shutdown, the situation got worse because hospital staff did not know what to do. 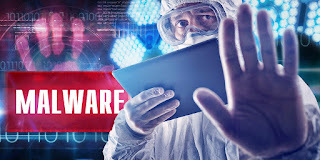 In just a matter of weeks, several incidents involving malware specifically targeting hospital systems have been reported. Attacks like this were reported in facilities across the US, Australia and even in Europe. It’s still not known whether the malware attack on MedStar Health was the same type of ransomware attack seen at a L.A. hospital. In that case, the malware locked the hospital’s computer system until a Bitcoin ransom was paid. The FBI was already involved in the investigations and in the process of determining the nature and scope of the attack.